We all know that Google announced in May 2011 a brand new Android Open Accessory standard. With the arduino-friendly ADK board and some Android APIs you can add any accessory or external hardware to your Android phone or tablets (Android 2.3.4 or above). it cannot work in my Samsung Galaxy Note, it said: "Your device isn't compatible with this item"!! My Android version is 2.3.6!? 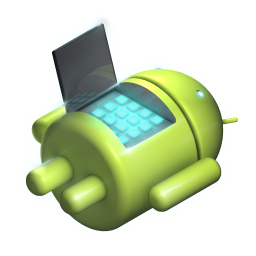 Despite of the claim that the support for host mode USB is back ported to version 2.3.3 and later, this demokit app is runnable on devices that support Google APIs (published by Google Inc., not Android Open Source Project). You will want to get a 'Google phone'. Samsung and HTC have some models. I have been able to make demokit working on an HTC. It is straightforward once you have the right device. I am not sure if this is a software or hardware limitation. OK so I have this intalled on my HTC Desire. What program do Iput on Arduino to operate the simulate functon?